A counter-depth refrigerator is a full-size model with or without a freezer compartment. This style of a refrigerator has become quite popular but there are pros and cons to consider before shopping for one, as you'll read below. The term counter-depth, though widely used amongst retailers, can be misleading because the actual measurement can vary somewhat from the standard counter depth of 25". Especially in a large kitchen, it's not unusual to find bottom cabinets that are much deeper than the standard 24" depth and the counter will protrude further, usually by an inch. So counter-depth can be deeper than the average, ranging from 25" to 30". Hence the importance of taking careful, precise measurements of the allowable space, when shopping for appliances. Do not assume that all counter-depth refrigerators are the same size; they can vary in depth by several inches. When it comes to compact, under-counter refrigerators, coolers and freezers, these are usually referred to as cabinet-depth and though these can vary from the standard, most will be 24" so that they will be flush with the cabinetry once installed, much the same as a built-in dishwasher. And since most freestanding wine coolers are counter-depth, that leaves a counter-depth versus standard depth decision mostly applicable to freestanding refrigerators, freezers, and beverage coolers. Most upright freezers are standard depth, but freezers that are designed to be custom installed as a companion to a refrigerator are often counter depth for a more integrated style. Since the pros and cons will be similar for these appliances, this article will focus more on refrigerators. The idea when choosing a counter-depth refrigerator is to have a more streamlined look—that in itself is very pleasing to the eye. This design style is available for all types of refrigerators—all refrigerator, bottom or top freezer, side-by-side and French door models. They are sometimes higher and usually wider than traditional depth models of the same capacity and this may be something you'll want to consider when installing a new refrigerator. Though the counter-depth design is a very popular choice and since this is a long-term appliance investment, you'll want to consider the benefits as well as the constraints, to this refrigerator model. Also note that the door of a counter-depth fridge will protrude slightly from the edge of the counter and the same goes for the handle, so depth may not include these in the measurements. A more streamlined look. Many will choose a counter-depth refrigerator simply because this style gives the kitchen a more uniform profile. The refrigerator does not protrude several inches past the counter. More convenient access to contents. Finding and retrieving contents from a counter-depth refrigerator is much easier. It requires less extended bending. And the same applies to the freezer compartment. You'll also appreciate the better access when it comes to fridge cleaning too. Better traffic flow; less work triangle congestion. When a refrigerator is standard depth, it will be deeper than neighboring counter and cabinets, sometimes protruding into the main traffic area and that can create a bottleneck of sorts in that kitchen space. Unique storage possibilities: Since a counter-depth model will be wider than the same capacity in a standard depth unit, that sometimes allows storage of wide cold cut trays, something that might not be possible with a narrower fridge. The same applies to longer door bins that might be easier to organize and access. If a traditional style refrigerator is your choice, accessing the full interior of a door-access bottom freezer will be much easier. A pull-out bottom freezer drawer will also have a shorter depth which is much nicer in terms of required room to open it. A wider profile. 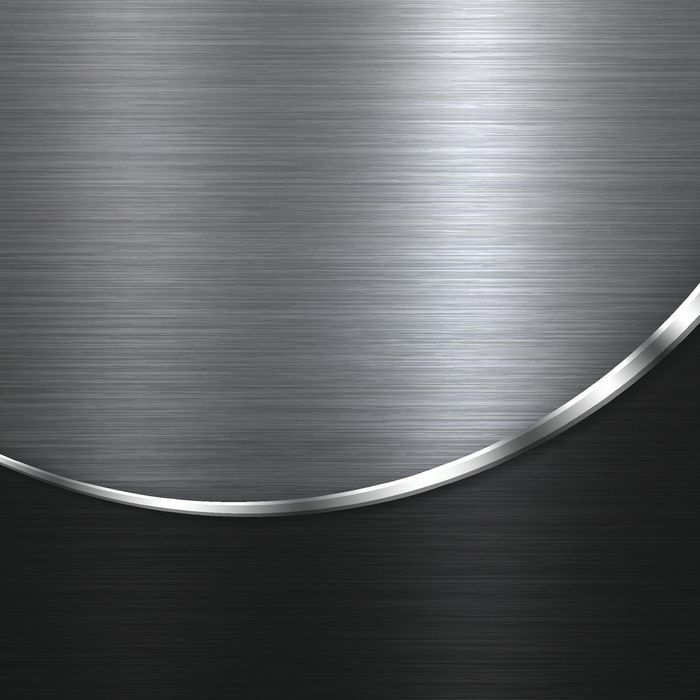 For a given capacity, a 25" counter-depth refrigerator will be wider than a standard-depth model. 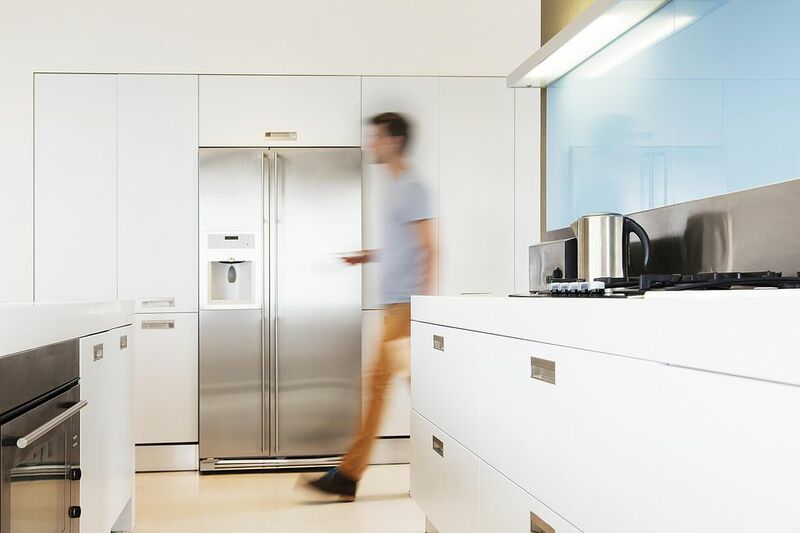 If you're replacing an existing standard-depth fridge with a counter-depth model, you may need to look at a reduced capacity to fit within the existing space. Crispers are shorter, smaller. While access is better, drawers such as crispers and deli compartments are shorter. That makes a difference when storing long items such as celery, plastic storage containers or trays in these. Freezer compartments hold less. Whether the freezer section is a bottom drawer or top mount, expect less capacity. However, access to frozen foods is more convenient. The single door swing will require more clearance for a wider design. This just emphasizes the importance of measuring your space before ordering. With today's custom kitchen designs, there's more risk of deviating from what some might call standard. And read full appliance specs, the term counter-depth may not be included in the model title. At one time, market availability of counter-depth refrigerators was limited, but this popular model is now much easier to find.